Zimmer Biomet has announced a recall for certain Comprehensive Reverse Shoulder products due to a higher-than expected risk of fracture. Victims of such fractures may be entitled to file a Zimmer Biomet shoulder replacement lawsuit to obtain compensation for damages incurred as a result of their injury. The medical device attorneys at Bernstein Liebhard LLP are offering free legal reviews to parties interested in filing a Zimmer Biomet shoulder replacement lawsuit. If you or a loved experienced a fracture following implantation of the Comprehensive Reverse Shoulder, please call (888) 994-5118.
Zimmer Biomet Comprehensive Reverse Shoulder Recall: What’s the Problem? A Class I recall involving certain lots of the Comprehensive Reverse Shoulder Humeral Tray (Model 115340,manufactured prior to September 2011) was announced by the U.S. Food & Drug Administration (FDA) on February 16, 2017. The recall was initiated in December 2016, when Zimmer Biomet sent an Urgent Medical Device Recall Notice and a Certificate of Acknowledgement to affected customers, warning that the shoulder replacement device had been associated with a higher-than-expected rate of fractures. The company asked customers to identify and quarantine all affected product currently in stock, and indicated that they would be retrieved by a Zimmer Biomet sales rep. About 3,662 implants were affected by the recall. A Class I recall is the FDA’s most serious type of recall, and indicates that the agency is concerned that these Comprehensive Reverse Shoulder components could place patients at risk for serious injury or death. 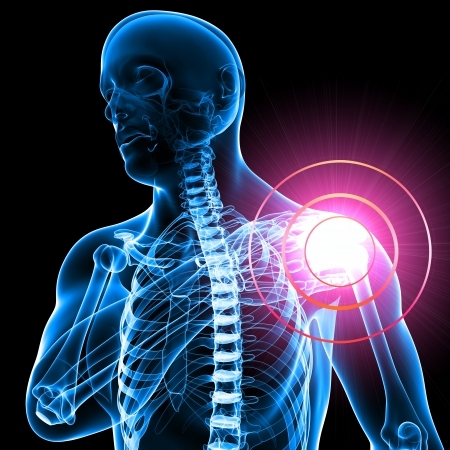 The FDA’s recall notice warned that a shoulder replacement fracture may result in the need for revision surgery, which can lead to serious complications including permanent disability, infection or death. The Comprehensive Reverse Shoulder was brought to market by Biomet Inc. in 2008 (prior to the company’s acquisition by Zimmer Holdings) via the 510(K) clearance program. As such, Biomet was able to avoid conducting human clinical trials by demonstrating that the Comprehensive Reverse Shoulder was “substantially equivalent” in design to a product previously approved by the FDA. In September 2010, Biomet recalled the Comprehensive Reverse Shoulder Humeral Tray with Locking Ring (49 mm standard, sterile, REF 115350) due to complaints that the device was fracturing at the joint between the trunnion and the baseplate. A second recall for Custom Comprehensive Reverse Shoulder Humeral Trays (bio-modular base 44 mm standard, REF CP56151) was announced in 2011, after Biomet determined that some of the trays could contain an incorrectly assembled locking ring. Both recalls were designated Class II by the FDA, indicating that the implants may cause temporary or medically reversible adverse health consequences. Bernstein Liebhard LLP has helped thousands of people injured by defective medical devices. If you or a loved one were harmed by a recalled Zimmer Biomet Comprehensive Reverse Shoulder, please contact out attorneys today to obtain the legal assistance you need. To learn more, please call (888) 994-5118.